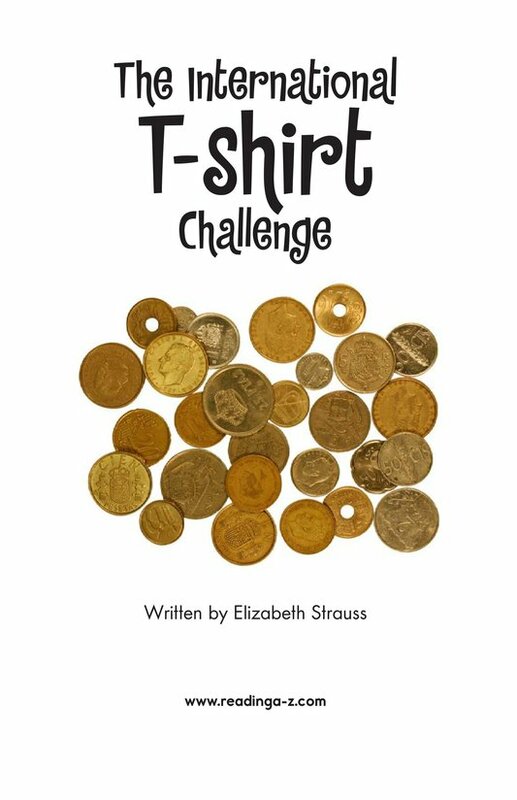 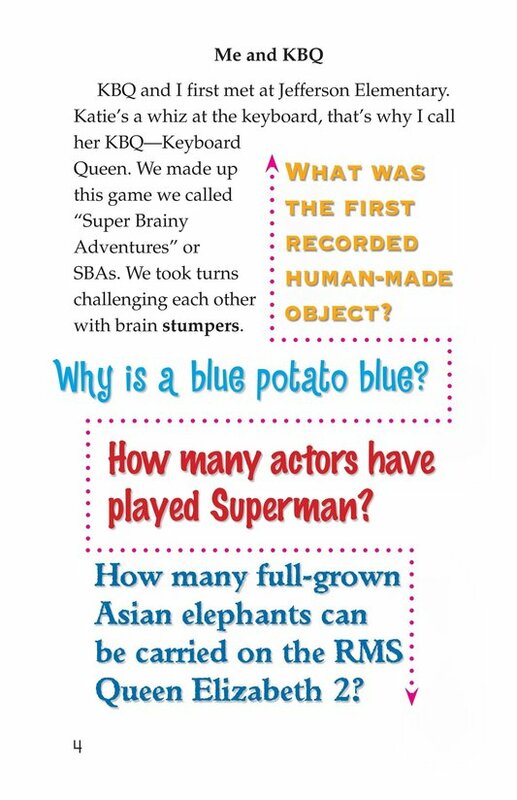 The International T-Shirt Challenge features two friends who challenge each other with weekly questions. 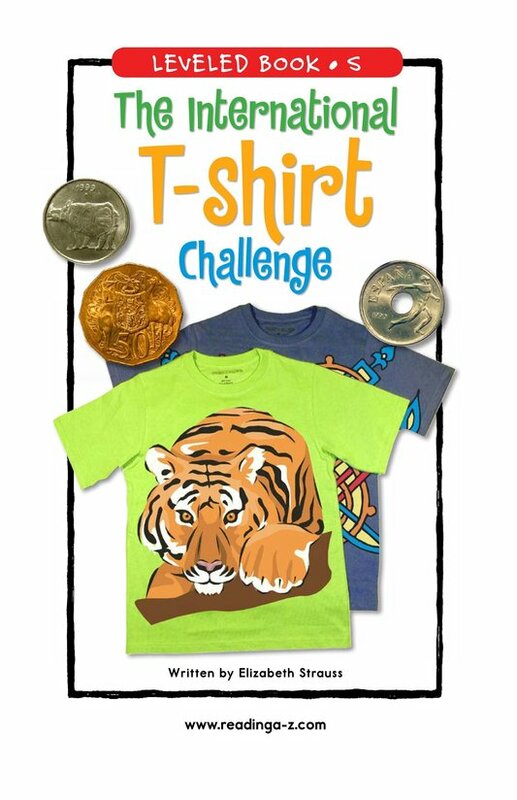 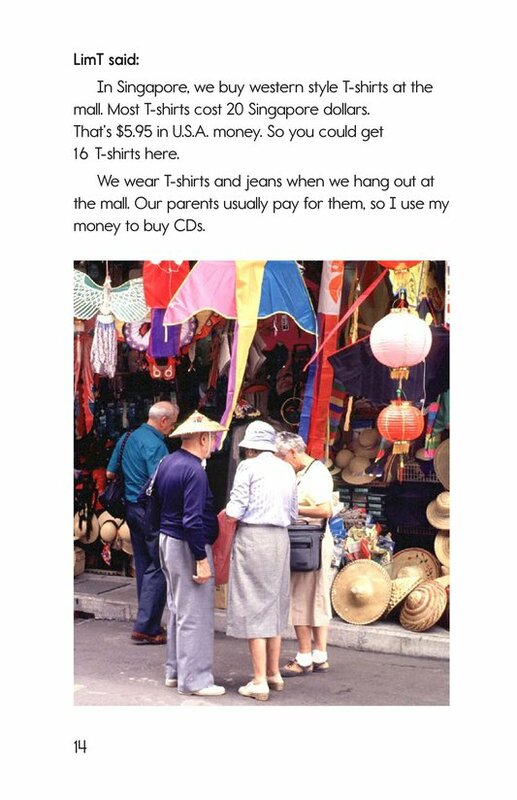 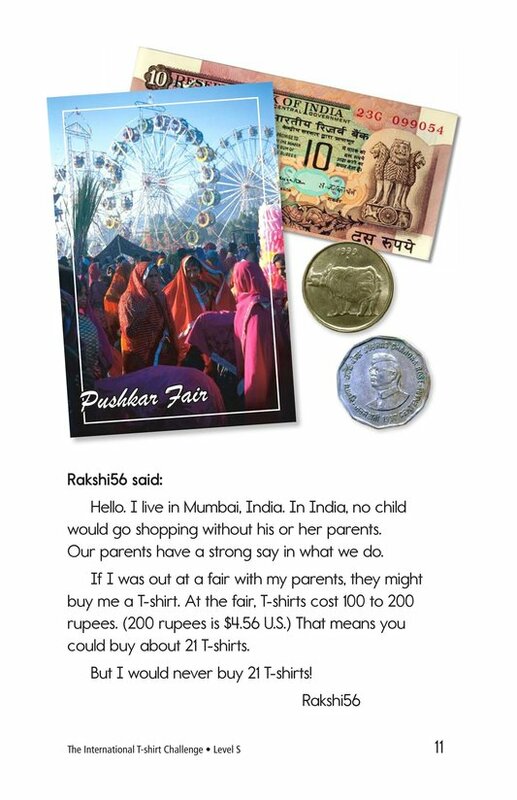 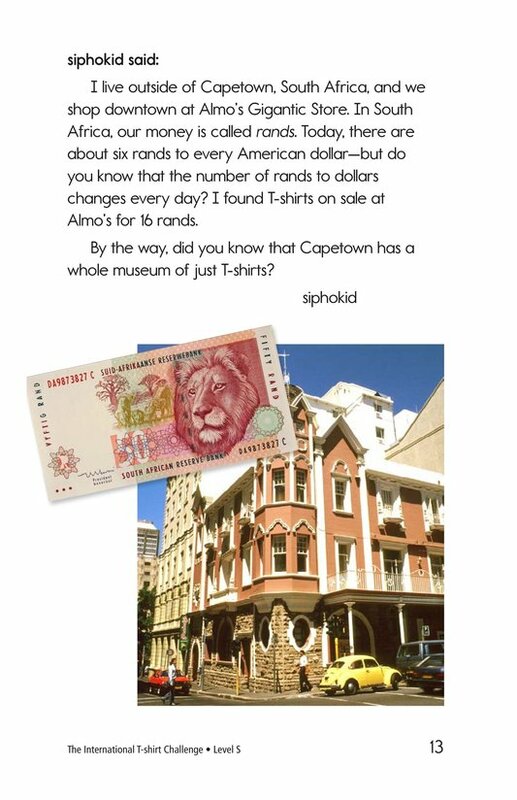 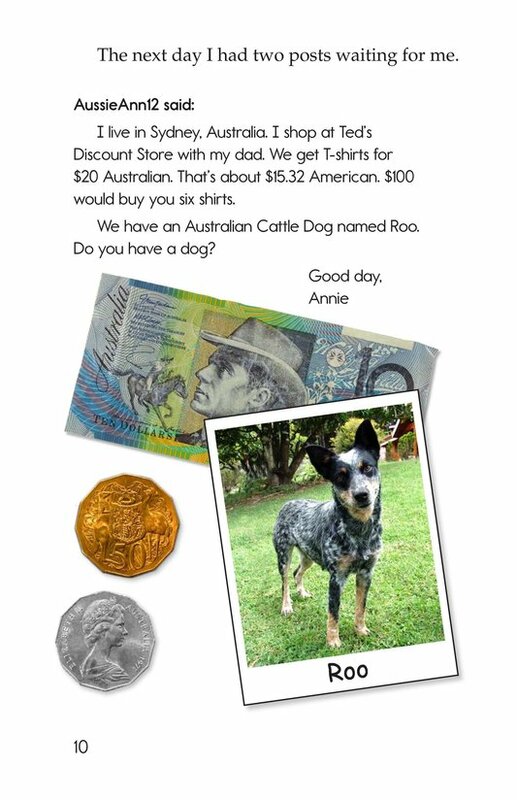 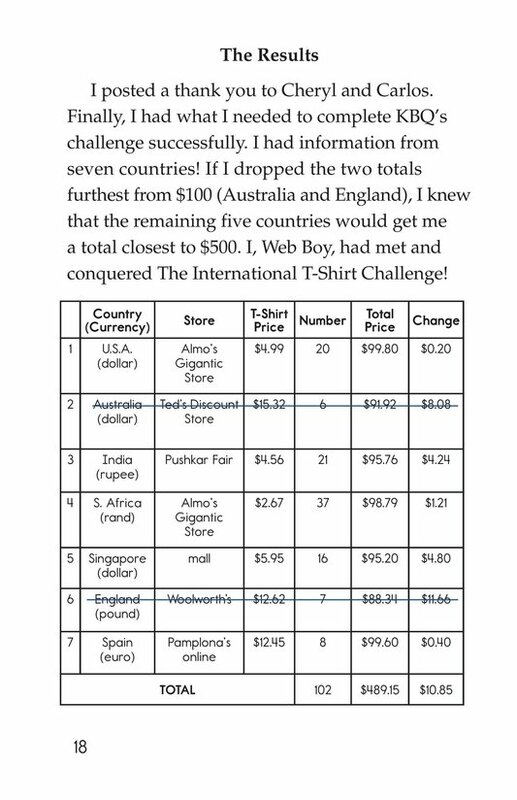 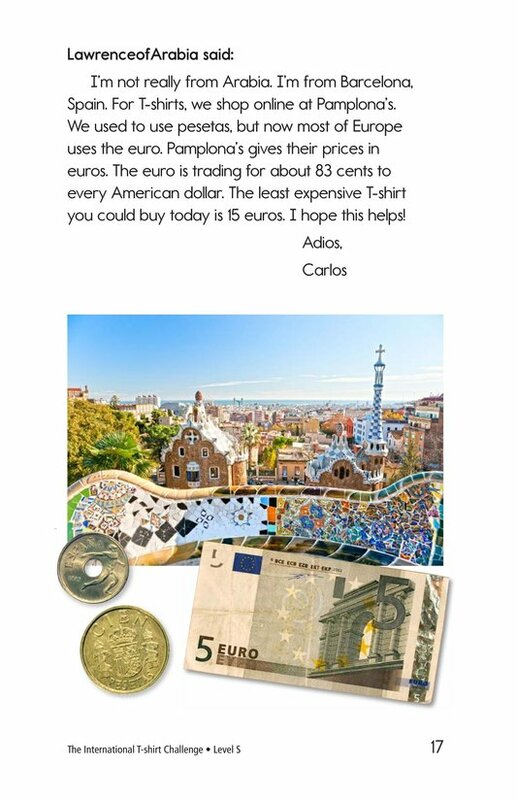 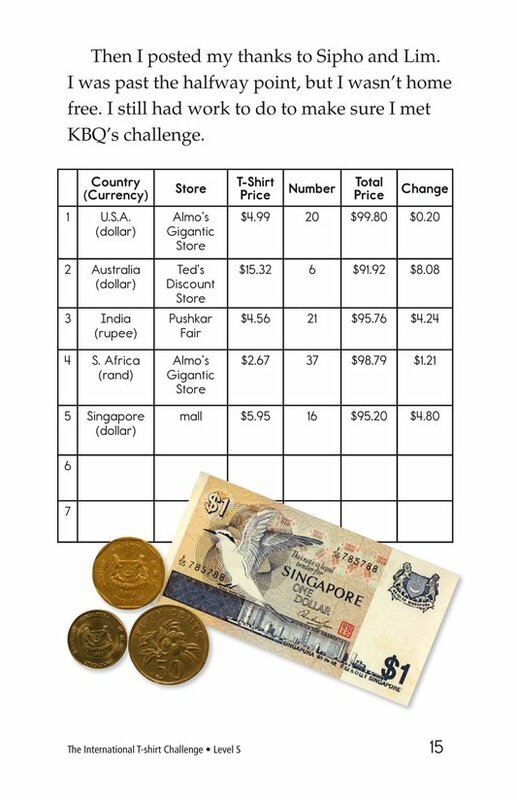 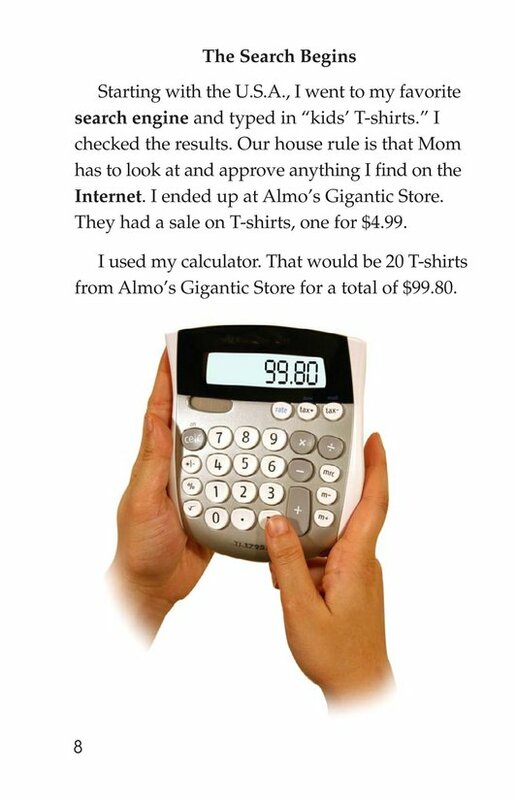 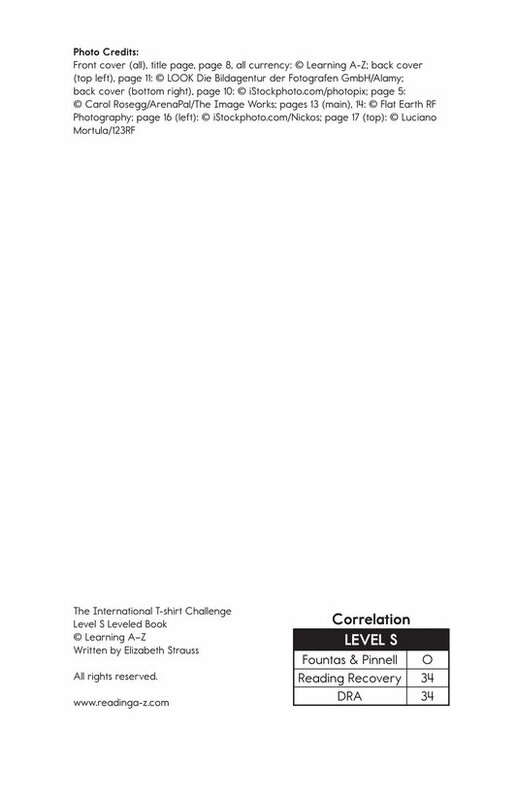 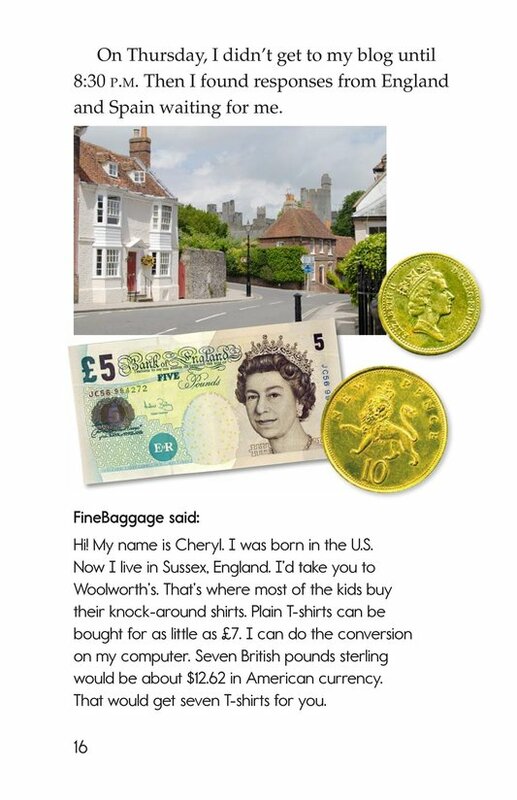 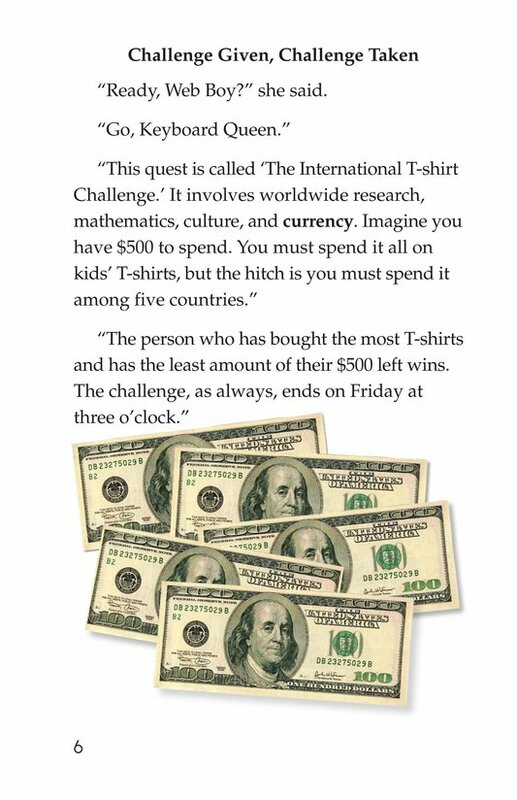 This week's puzzler, labeled the International T-Shirt Challenge, challenges one of the friends to spend $500 on T-Shirts in five different countries. 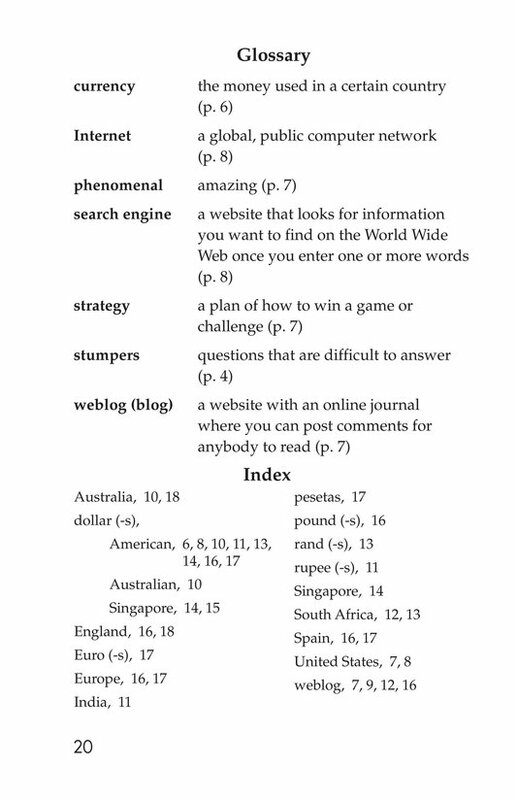 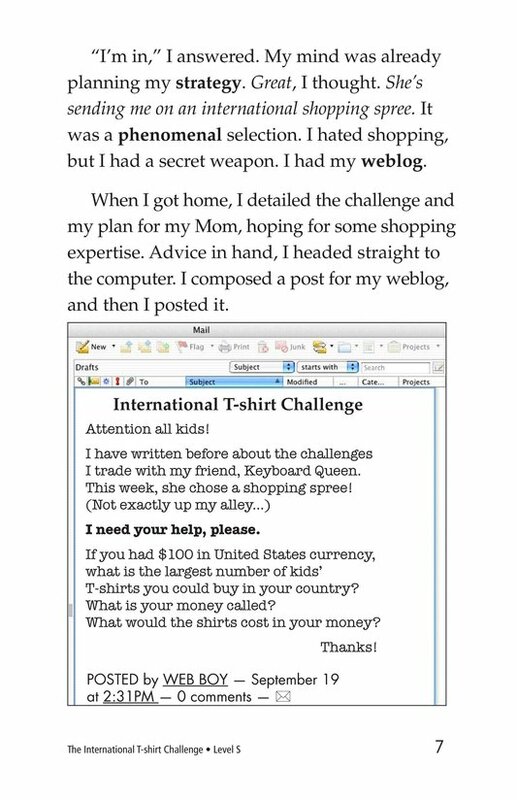 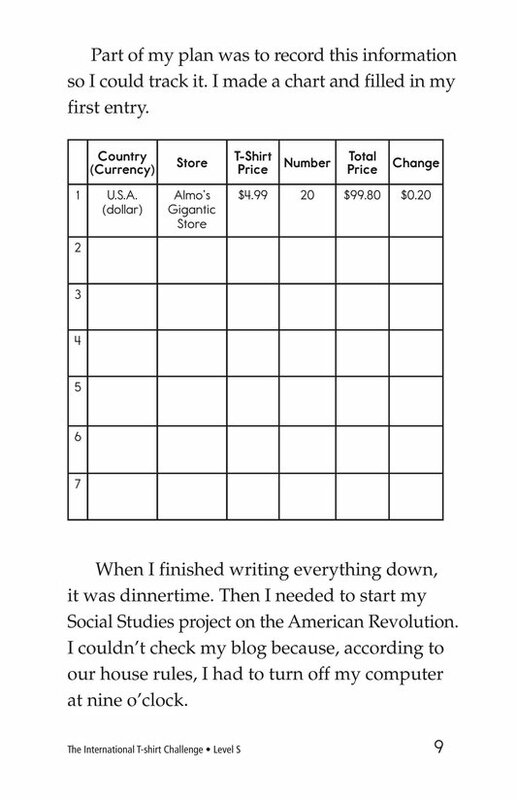 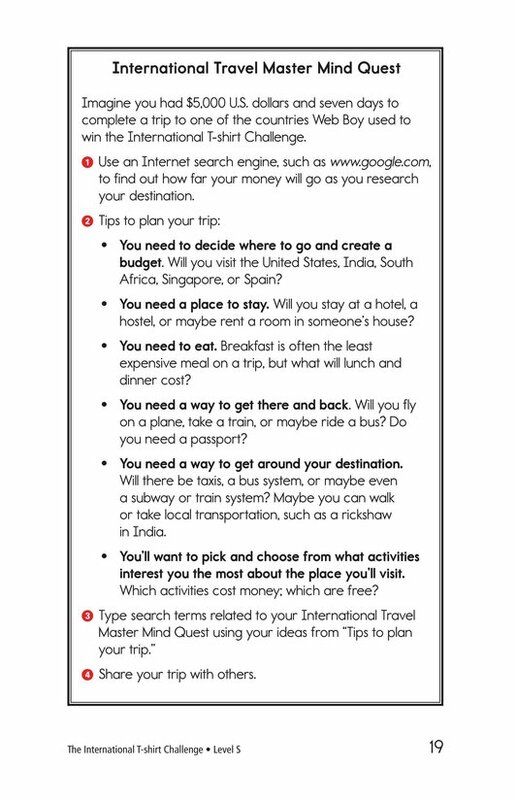 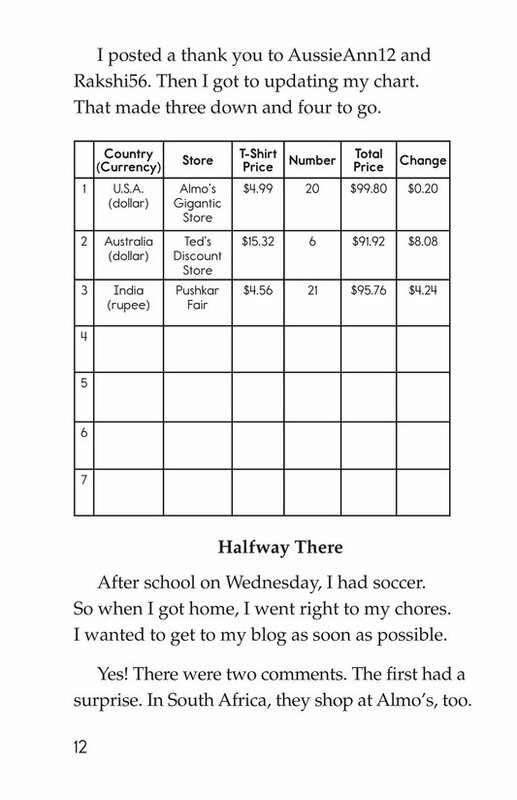 Using his weblog, he attempts to get information from kids all around the world to help complete the challenge. 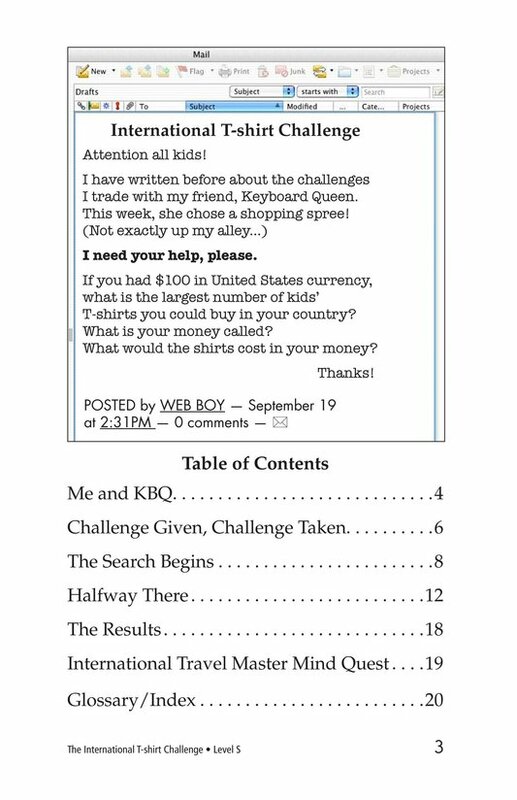 Photographs, illustrations, and charts support the text.